Looks like the ZTE ZMAX Pro isn’t the only new ZTE hardware that’s coming soon to T-Mobile. 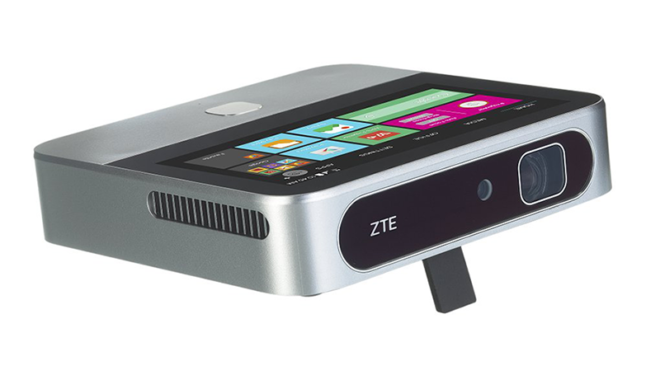 T-Mobile has launched support pages for the ZTE Spro 2, a smart projector/hotspot that runs Android 4.4.4. The Spro 2 has a 5-inch 1280×720 display that you can use to control the device, and it can project images up to 120 inches in size and 1280×720 in resolution. 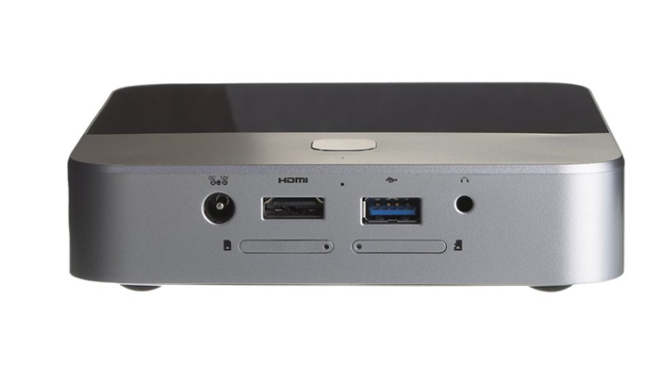 There are also HDMI and full-size USB ports on the Spro 2’s backside. As I mentioned before, the Spro 2 is also a hotspot. It can connect up to 10 other devices to the cellular network using HSPA bands II, IV, and V as well as LTE bands 2, 4, 5, and 12. Rounding out the ZTE Spro 2’s spec list is 2GB of RAM, 16GB of storage, a microSD slot for adding more storage, quad-core Snapdragon 801 processor, and a 6600mAh battery. One other detail that’s worth noting is that the ZTE Spro 2 has access to the Google Play Store, so you can download apps to the Spro 2 just like you would if it were an Android phone or tablet. T-Mobile’s support pages don’t say when the ZTE Spro 2 might launch or how much it’ll cost when it does. However, a source tells me that it’ll hit store shelves on June 7, so it may not be long before we’re able to give ZTE’s unique Android-powered projector/hotspot a try. Would be cool to add HBO GO and use it with BingeON ! That’s a good idea but I’m more keen on the ZMAX Pro. I’m suffering from a disease, dafundzalo. pockets like rabbit ears? OH NO! That’s what that means I never heard of this wonderful word! If it’s priced right I may have get one! I woulda putta dialer anna RJ46 conector too… let it also function as a house / office phone… anna software for connecting printer. Wow that is beyond what I thought it can do that’s for that! I am defiantly getting this! Hmm I wonder then what? Looks like based on the same one from Verizon, it will be between $549-$599. Yeah, the Spro 2 is already available in AT&T and Verizon versions, and the T-Mobile model looks to be the same as those. Does it run android or even act as a mobile hotspot? Hmmm…. What’s stopping me from swapping in my phone’s sim card, and I like the fact that it can run android apps. I can see someone I installing kodi and making this into a multimedia machine. Good point. Get projector with HDMI port. Get Google Chromecast. DONE. Now just cast your content. The Projector would not need wifi or anything, the Chromecast would take care of everything. So even a cheap projector is a couple hundred bucks and a Chromecast is 35. They can tell it is not a phone. Maybe you don’t, but maybe I do! If Your phone run Android why you need the projector to run it also? No, android-based projectors are the way to go! We are entering the era of the IoT. Every device should be as intelligent, versatile, and networkable as possible! Why would I want a projector that doesn’t give me a free, usable computer+solid OS along with the projector? All projectors *have* OSes and computer chips inside. Why settle for one that isn’t so flexible and powerful as an android based one? I just went back and read the specs that are expected for the Zmax Pro and it makes me wish they would have decided to make a 64 and 128 GB versions like they are for the Axon 7. As for the Spro 2it seems like it would be nice to have but also a very unnecessary device for most people. Which menus funds! I like it! I am going to start using it! Android 4.4.4 isn’t even supported by Google anymore. Unless this can be successfully rooted, the firmware is outdated and vulnerable right out of the box and you can’t fix it! Combined with the Snapdragon 801, it appears this was designed a couple of years ago but, for some reason, they’re only marketing it now. ATT releasted the win 10 mobile update for the 640 today… any word on when tmobile will manage? ZTE Spro 2>Lumia 640 have nothing to do with each other. Also, I can’t wait for a 1920×1080 device to become affordable. I’ve been spoiled, and the resolution of this device is kinda lame.